My brother shared this comic strip with me. 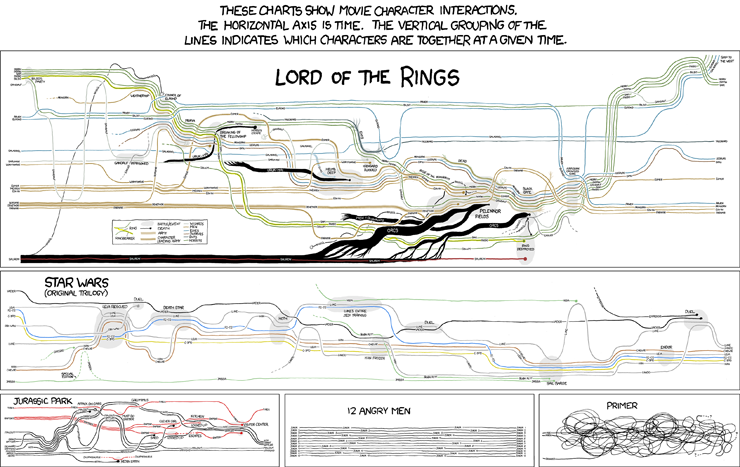 It's called "Movie Narrative Charts" and it's from xkcd.com. I love the "12 Angry Men" box. Haven't seen "Primer"(?) so don't know what that's about. And also the little spike in Jabba the Hut line that shows changes made in the remastered edition. (Click on the picture to see the bigger version with chart details. It's strangely fascinating).